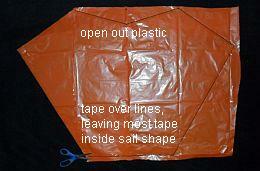 This set of instructions on how to build a Sled kite assumes you know absolutely nothing about kite making. 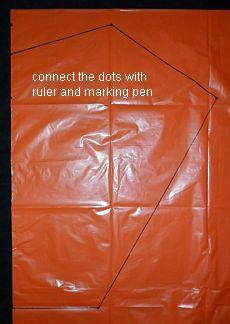 And if you are a 'visual-learner', it should be possible to complete the kite by referring only to the pictures. 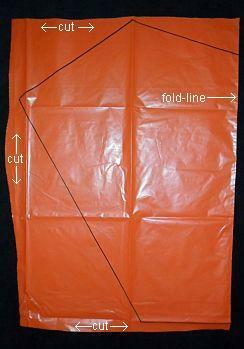 You can expect this design to fly higher than most cheap store-bought Sleds, particularly in very light winds. 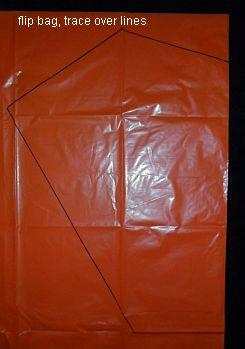 And being a simple, rigid-stick design, the smoother the breeze, the better. 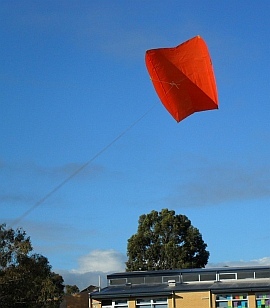 At 58cm (23") long when rolled up, the MBK 2-Skewer Sled Kite is small enough for kids and yet provides great flying performance for adults to enjoy as well. This Sled has a shallow V shape cut-out at the top and has spars which are a little further apart at the top than they are at the bottom. 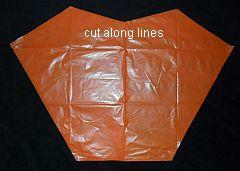 No tails are required, although long and colorful ones can be used for more spectacle in the air! 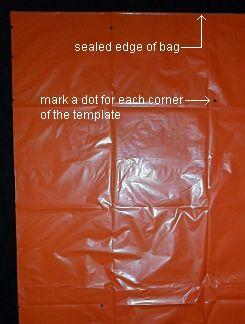 Open out the bag and lay it flat on the floor - you can now see the complete sail outline, as in the photo.